Pay your port fees at the port office and proceed to the Customs Office to complete Customs clearance out formalities. You will need your inbound clearance papers, crew details, the details of your vessel and next port of call. Don’t forget your updated inventory of on board alcohol, tobacco and medical supplies if you have taken advantage of the Super Yacht Special Duty arrangement. Immigration will not clear you until you have been cleared by customs. Customs will only clear you providing your port fees and all other fees (including health and biosecurity) have been paid (receipts for these should have been kept). Once cleared, you will need to leave Fiji waters within 24 hours. It is prohibited to stop at any island once cleared out. However, if your departure is delayed for some reason, and you anticipate being in Fiji over that 24 hour time period, you need to contact the same customs officer and advise them of this as soon as possible! Immigration also requires prior notice so that they are ready to authorize your departure and once cleared, it is expected that you will depart the port immediately. 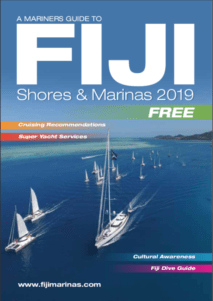 Overstaying 24 hours after departure can result in large fines ($20,000) or even imprisonment (2 years) of the yacht master, and this can create many problems with your clearance from Fiji. Best to check the weather and your boat for anything that could cause an issue or delay with plenty of time to spare. Be sure to contact the same customs office immediately, and record in your Log Book the reason for failure to depart.